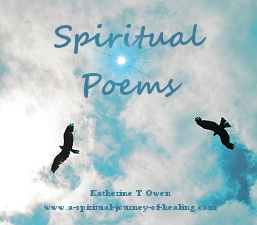 This page gives a list of the spiritual poems by Katherine T Owen which can be found on this website. Scroll down to read some poems, or click through if you find a title which appeals! For 14 years, Katherine was severely disabled with ME/CFS, unable to walk, with little speech, and with inadequate care. Download FREE software to read the kindle book on your computer. My spiritual journey was prompted by finding myself in silence in a room for many years. 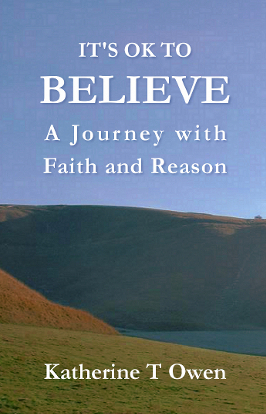 I call myself a Christian but my writing does not come from a place of dogma or doctrine. Read spiritual healing poems by visitors to this site. Motivational Poems /Poems About Learning talk you through how to make learning easier. Why Should I Be The One To Change? I am not alone… I can hear Him. “It is your voice to which you listen as He speaks to you. It is your word He speaks. It is the Word of freedom and of peace, of unity of will and purpose, with no separation nor division in the single Mind of Father and of Son. It's OK to have a parent who has the resources and the love to give you everything you ask for. There are other inspirational poems threaded through this site. Just look out for the peach coloured tables like the ones above. 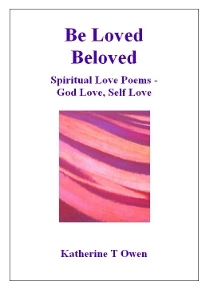 Click here to submit for publication your own spiritual poem or to read inspiring poems written by visitors to www.a-spiritual-journey-of-healing.com. 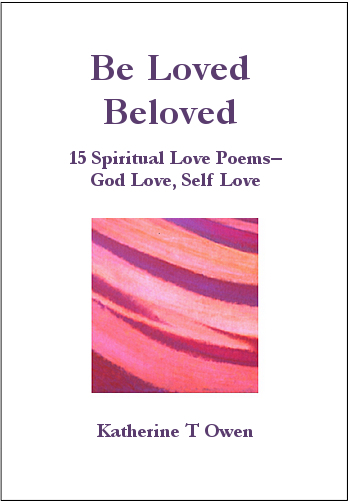 Hear Katherine T Owen Read Short Inspirational Poems On The Radio And Online. Katherine T Owen is webmaster at a-spiritual-journey-of-healing.com.